La città era stata fondata da coloni corinzi nel VIII secolo a.C., sulla direttrice della più tarda "via Elorina", che metteva in comunicazione le colonie greche di Siracusa, Kamarina e Gela. Nell'alto corso del fiume Tellaro, presso la città Ippocrate, tiranno di Gela, sconfisse in battaglia nel 493 a.C. le forzesiracusane, mentre nel corso della guerra del Peloponneso gli Ateniesi furono sconfitti nel 413 a.C. Nel 263 a.C. fece parte dei possessi riconosciuti dai Romani a Gerone II di Siracusa nel 213 a.C. Fu quindi conquistata dai Romani, guidati dal consoleClaudio Marcello, nel 214 a.C. Le mura urbane, datate da Paolo Orsi al V secolo a.C. e successivamente attribuite invece al VI secolo a.C. nella loro fase originaria, furono in seguito ricostruite sopra i resti di quelle più antiche, forse nella seconda metà del IV secolo a.C.. A sud-est, una torre medioevale ("Torre Stampace") venne costruita nel 1353 da Blasco Alagona, agli ordini diPietro d'Aragona, per la difesa della costa: la torre poggia sui resti di una fortezza, citata da Plinio il Vecchio nel I secolo d.C..Il santuario più importante si trovava all'esterno delle mura: era dedicato a Demetra e Kore e riprende forse un più antico culto indigeno siculo. Si trovava all'esterno delle mura ed era costituito da diversi ambienti. Il primo impianto risale al VI secolo a.C., ma venne utilizzato fino al III secolo a.C., come testimoniano gli ex voto conservati nel Museo archeologico di Noto. Successivamente il santuario venne trasferito all'interno della città come piccolo tempio in antis e circondato da un porticato (stoà) a tre bracci, dorico in facciata e a due navate. Il porticato era connesso anche con l'agorà, di cui restano visibili solo le cisterne scavate nella roccia per raccogliere l'acqua piovana. Dalla piazza una via si dirigeva verso il mare a sud-est: insieme ad un'altra via in senso nord-sud definiva gli assi della struttura urbanistica della città. Un santuario dedicato al dio Asclepio (Asklepios in greco ed Esculapio - Aesculapius in latino), del IV secolo a.C., era costituito da un cortile circondato da portici, dove gli ammalati sostavano e dormivano in attesa della visita in sogno del dio, che avrebbe portato alla guarigione. Verso sud, sulle pendici della collina, si trova un teatro greco, in parte scavato nella roccia e in parte costruito, risalente alla fine del IV - inizi del III secolo a.C., in parte intaccato da un canale di bonifica realizzato negli trenta. 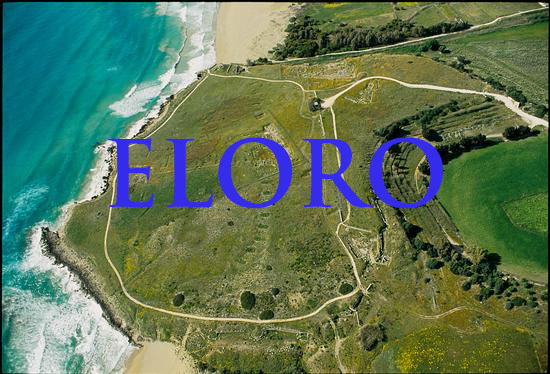 Eloro (Έλωρος Helorus in greek and in Latin) is an archaeological site located on a hill overlooking the Ionian Sea, near the town of Noto, near Syracuse, at the mouth of the river Tellaro (then with the same name of the city). 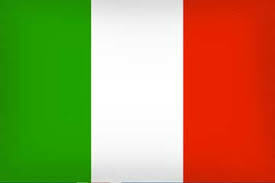 The city was founded by Corinthian settlers in the eighth century BC, in the direction of the later "via Elorina", which connected the Greek colonies of Siracusa, Kamarina and Gela. The city was thriving even in the Byzantine era, but was almost completely destroyed with the arrival of the Arabs. The city walls, dating from the fifth century BC Paolo Orsi and subsequently assigned instead to the sixth century BC in their original phase, it was later rebuilt on the ruins of the older ones, perhaps in the second half of the fourth century BC. To the southeast, a medieval tower ("Tower Stampace") was built in 1353 by Blasco Alagona orders DiPietro of Aragon, for the defense of the coast, the tower stands on the remains of a fortress, mentioned by Pliny the Elder in the first century AD. The most important sanctuary was located outside the city walls: it was dedicated to Demeter and Kore and takes perhaps a more ancient cult indigenous Sicilian. It was located outside the walls and consisted of different environments. The first construction dates back to the sixth century BC, but it was used until the third century BC, as evidenced by the votive preserved in the Archaeological Museum of Noto. Then the sanctuary was transferred within the city as a small temple in antis and surrounded by a portico (stoa) in three arms, in Doric facade and two aisles. The arcade was also connected with the agora, which remains visible only rock-cut cisterns to collect rainwater. From the square a path headed towards the sea to the south-east: with another street in a north-south axes defined urban structure of the city. A shrine dedicated to the god Asclepius (Asklepios in greek and Asclepius - Aesculapius in Latin), of the fourth century BC, consisted of a courtyard surrounded by arcades, where the sick were standing and waiting for the visit were asleep in a dream God, that would bring to healing. Stood near a small thesaurds, ie a building shaped like a small temple in antis, will house the votive offerings and dated to the second half of the fourth century. To the south, on the slopes of the hill, it is a greek theater, partly dug into the rock and partly built, dating from the late fourth - early third century BC, partly affected by a drainage canal built in the thirties. Northwest was the Pizzuta column, a funerary monument, consisting of a colossal limestone column drums (diameter of 3.80 m and height reconstructed in about 10 m). Nearby it is an excavated in the rock, dating from the second half of the third century BC, already seen in the ruins of Paolo Orsi in 1899 and later reinterred. The four city cemeteries (distinguished by modern scholars with the first letters of the alphabet) were located on the rocky terrace north of the town.